Previous studies have shown that firearms are responsible for about 31% of the 900,000 annual non-fatal assault injuries suffered by adolescents and young adults who are treated annually in EDs. Overall, firearm-related injuries rank as the second leading cause of death among all youths in the United States and the leading cause of death among African-American youth. The cost of caring for acute firearm-related injury care is substantial, approaching nearly $630 million each year, with youths accounting for a significant portion of these costs. Past research on firearm violence among youth populations has primarily been retrospective or has only examined adolescents requiring hospitalization. This can miss many ED patients who do not need to be hospitalized after an assault-related injury. The risk for firearm violence in high-risk youths after treatment for an assault has not been thoroughly studied. “This information is critical to informing the development and implementation of evidence-based firearm violence interventions that can be applied to adolescents and young adults who experience assault-related injuries,” says Patrick M. Carter, MD. Dr. Carter and colleagues from the University of Michigan Injury Center conducted a 2-year prospective cohort study that analyzed data from nearly 600 people aged 14 to 24. Two cohorts were followed every 6 months for 2 years in the study, which was published in Pediatrics. The primary cohort included youths who were treated in an urban ED for an assault-related injury and had a history of recent drug use within the past 6 months. These data were then compared with a comparison cohort of drug-using youths who were not assaulted and sought ED care for a medical or non-violence related injury complaint. The research team conducted a number of assessments within the 2-year period, including measures assessing patients’ level of involvement with firearm violence. “Overall, 59% of assault-injured youths in the study reported firearm violence within 2 years of their initial ED visit as either the aggressors in an event or the victim of firearm violence,” Dr. Carter says. “This included threats, near misses, and injuries due to firearms.” Nearly 97% of the study participants reported being victims of firearm violence and about one-third reported being aggressors. Assault-injured youths were at 40% higher risk for involvement with firearm violence than the comparison group of drug-using youths seeking medical care for reasons other than an assault. The analysis also demonstrated that 77% of participants who endorsed firearm violence reported that their involvement was not limited to a single episode. Those who engaged in firearm violence reported an average of almost eight such incidents over the 2-year study period. Importantly, the study revealed that the majority of assault-injured youths with firearm violence reported having at least one or more firearm-related events within the first 6 months after their ED visit (Figure). Several baseline factors were identified as predictors of subsequent firearm violence involvement, including male gender and African-American race. Experiencing an assault injury, favoring retaliation for assaults, and possessing a firearm were also predictors of firearm violence. About half of study participants with firearm violence also reported a mental health diagnosis at baseline, most commonly PTSD and/or depression. These findings emphasize the possible benefit of enhanced mental health services among people presenting to the ED with violent injuries. An association was also observed between firearm violence and substance use, with higher severity drug use (eg, dependence or abuse) predicting involvement with firearm violence. In addition, almost 25% of participants with firearm violence reported recently carrying a firearm while impaired. This raises concerns about the contribution of alcohol or drug intoxication to impulsive firearm use during altercations. Until recently, most healthcare providers have focused on treating patients’ physical wounds after experiencing firearm violence, but Dr. Carter says efforts should be made to capitalize on such teachable moments by tackling the issue at an initial presentation for a violent injury. 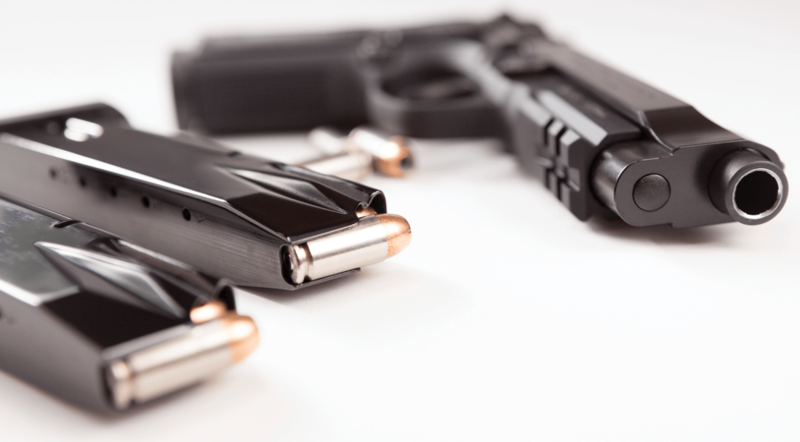 “We should intervene and address the underlying risk for future firearm violence in the same way that we would when managing patients with asthma, diabetes, or other diseases,” he says. While many high-quality violence prevention programs exist, efforts are needed to enhance these secondary violence prevention initiatives. There is also a need to develop best practices to treat substance use and mental health diseases and to prevent retaliatory violence and illegal firearm possession among high-risk youth, Dr. Carter says. “This can further help us capitalize on the teachable moment and decrease the morbidity and mortality associated with urban firearm violence.” Greater use of technology, such as cell phones and mobile devices, may further augment interventions to reduce firearm violence. These technologies may allow for consistent contact and continued interventions with adolescents and young adults after their ED visit. Carter PM, Walton MA, Roehler DR, et al. Firearm violence among high-risk emergency department youth after an assault injury. Pediatrics. 2015 Apr 5 [Epub ahead of print]. Available at: http://pediatrics.aappublications.org/content/early/2015/03/31/peds.2014-3572.abstract. Carter PM, Walton MA, Newton MF, et al. Firearm possession among adolescents presenting to an urban emergency department for assault. Pediatrics. 2013;132:213–221. Cunningham R, Knox L, Fein J, et al. Before and after the trauma bay: the prevention of violent injury among youth. Ann Emerg Med. 2009;53:490–500. Frattaroli S, Webster DW, Wintemute GJ. Implementing a public health approach to gun violence prevention: the importance of physician engagement. Ann Intern Med. 2013;158:697–698. Patrick M. Carter, MD, has indicated to Physician’s Weekly that he has or has had no financial interests to report.